We have extensive experience in virtually all disciplines of law affecting businesses and the people who own them including: bankruptcy, corporate and securities, employment, healthcare, intellectual property, litigation, not-for-profits, real estate, tax, and trusts and estates. Our firm is also nationally recognized for our ‘cutting edge’ sophistication in the fields of: equipment leasing, financial services and lending, creditor’s rights, business succession and estate planning for high net worth individuals, as well as sweepstakes and other forms of promotional and direct marketing in both traditional media and the Internet. With a team of more than 70 lawyers, we pride ourselves on being large enough to properly staff even complex matters while at the same time remaining committed to our history and firm culture of providing our clients with the close personal attention they deserve. Moritt Hock & Hamroff was founded in 1980 by Neil J. Moritt. Initially the firm’s practice was devoted to the representation of commercial lenders and financial institutions in connection with their litigation, collection, workout and bankruptcy litigation needs in the New York metropolitan area. During this time, the firm also focused on legal issues affecting companies engaged in the business of direct marketing to consumers through promotions, which included direct mail, sweepstakes, contests and space advertising. By the early 1990’s, the firm evolved into a full-service commercial law firm with extensive experience in the disciplines of general business litigation, equipment leasing, creditors’ rights, bankruptcy law, direct marketing, advertising and new media law, trademark and unfair competition, real estate, business succession planning, and corporate law. 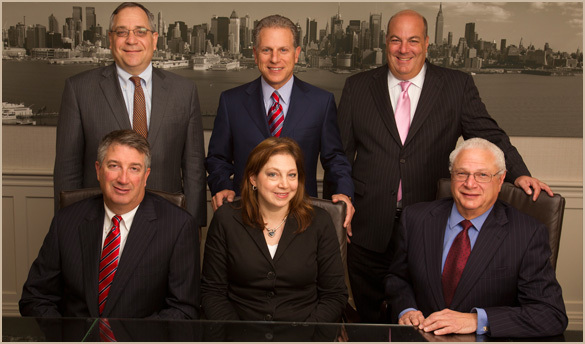 In April 2000, the firm emerged as a leader in tax and trusts and estates after several attorneys from a prominent Long Island-based law firm joined Moritt Hock & Hamroff. In 2006 and 2007, the firm continued to expand its area of practice by establishing not-for-profit, securities, intellectual property and healthcare practice areas. The firm has expanded its Garden City office space to over 30,000 square feet in order to accommodate its growing team of lawyers and paralegals, and in June 2011, committed to a permanently staffed Manhattan office to better accommodate its growing practice and client base. With its move to 1407 Broadway in 2016, the firm confirmed its NYC commitment with double the space on the 39th floor. The addition in 2017 of the Goldberg & Connolly team establishes the firm as a leader in construction law. Throughout the process, the firm has sought to grow intelligently to meet its clients’ needs without outgrowing them. Today, we pride ourselves on being large enough to properly staff each matter, but small enough to continue to provide close, personal attention to each client.